Search PPC (Pay Per Click) is one type of paid advertising that can get your offering in front of the right people when they’re looking for answers. Google Adwords is the top provider by far. Bing comes in a far second. Both of the platforms work in a similar way. Google tends to be more strict with approvals and more expensive, but it also offers delivery to a far bigger market. You have the ability to increase your daily spend and keep growing your traffic inflow. Bing is more limited and some phrases will only bring in so much traffic a day before you cap out. 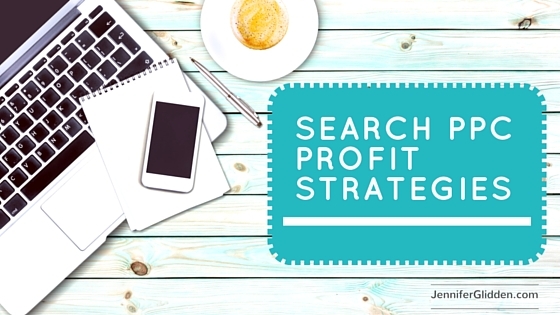 How to Use Search PPC Effectively? Plan a cohesive approach– don’t just throw ads out there. Make sure that you have a cohesive flow between the keywords you’re targeting, the landing pages, sales pages, and follow up emails and retargeting ads. The language, look, and feel of all of those elements should match. This will also help you have a higher quality score which will allow you to have better placement and lower costs per click. Monetize your funnel– If you’re spending money to advertise to people searching for what you have, you want to make it profitable. Be sure that you’re capturing leads (or at the very least have a retargeting pixel in place), and offering ways for people to buy your product or services. Test multiple ads- Experiment with a few different ads to see which ones people respond to best. You’ll be receiving full statistics on how each performs so that makes it easy to cut the losers and optimize the winners. Group keyword sets- There are a lot of keywords you can use to get in front of people with you ad. The more similar keyword groups that you pair with ads, the better results you’ll be able to generate. For example if you’re selling discount couches, you may also want to have keyword a group for discount sofas that would use the exact word people are searching for. Use Negative Keywords– don’t pay for keywords that don’t apply to your target. If you’re selling battery operated candles, you may want to exclude “beeswax candles.” Sometimes you’ll have a better idea of words to exclude after you start running the ads and seeing what phrases you’re actually paying for. Test small then scale up– You can set a daily budget as low as $5 on a campaign. See what keywords are costing to generate clicks and sales. Keep a close eye on the details. There may be one keyword using all of your budget but not generating any leads or sales. Use time blocking and geographical targeting to your advantage- If you have a local business or know that many of your customers come from the same part of the country, start by placing ads just in that area. You can also run ads just at certain times of the day. Depending on your niche, the costs per click may change at different times of the day. Know your numbers! This cannot be overstated. You must know what a new customer is worth to your business to be able to determine profitability. If a customer is worth $80 to your business, that offers lower ad spend potential than a customer who’s worth $3,500 to your company. At the end of the day, it all comes down to testing ads and funnels, tracking results, and tweaking to get better results going forward. Even if you start out and aren’t getting the desired results, consider that you are paying for information. You will still be receiving data on the ads that work well with your targeted keywords. Then it’s a matter of tweaking the funnel to create better more profitable results. Remember that you can also harness the power of retargeting. Once someone has clicked through to your site, that means they have an interest. You can follow up with retargeting ads to recapture some of the traffic for less expense. Put a new article or offer in front of them to see if that converts better. Search PPC offers real-time feedback and an almost unlimited source of traffic that creates measurable results. Start using it to grow your business today! For more business building strategies, and a free recording of my Entrepreneur’s Mindset training, sign up here.